The church officials were not available to respond to the chief minister's fresh statement. 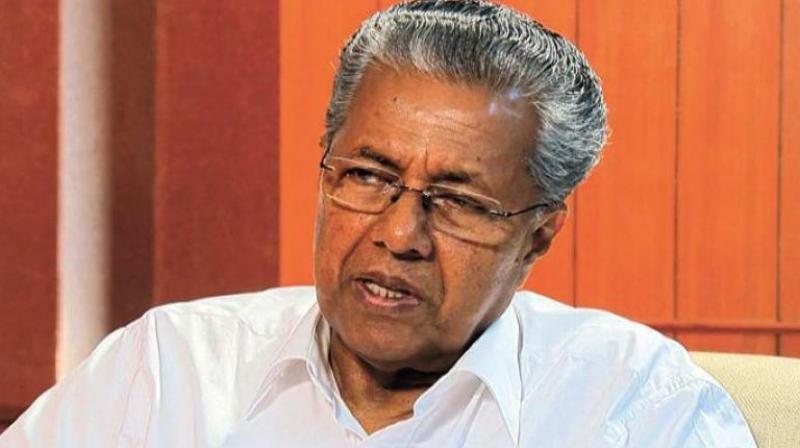 Thiruvananthapuram: A legal tussle over the land for the Sabarimala airport has become almost certain with Chief Minister Pinarayi Vijayan informing the Assembly on Monday that the Cheruvally estate identified for the airport was in the government's possession. The Believers Church had recently reiterated that they would go to any extent to protect their ownership right over the land. The church officials were not available to respond to the chief minister's fresh statement. According to a written reply by the chief minister, as per the settlement register, which is the basic revenue record, Cheruvally estate was still government land. The High Court reference order on the matter contained remarks in favour of the government. The government was yet to initiate steps to take over the land for the proposed airport, he said. "The ownership dispute regarding the Cheruvally estate is pending before the High Court. As per the settlement register, which is the basic revenue record, it is government land. The special officer for recovering government land issued orders on May 28, 2015 for taking over the estate land. The High Court reference order on the findings of the special officer's order contained remarks in favour of the government. The cases pertaining to it are now under the consideration of a division bench. Steps for taking over the land for airport have not yet begun," said the CM's reply to T.V. Ibrahim, N. A. Nellikunnu, Parakkal Abdullah and P.K. Basheer. After the LDF government decided to set up the airport at Cheruvally estate last month, the Believers Church had decided to move legally if the government takes over the land without admitting the ownership of the church over the estate. The church's official spokesperson Father Sijo Jose had even told the media that the church does not have any specific interest over the proposed airport and that their only concern was to protect their rights over the land. Meanwhile, sources said that some local politicians were attempting to mediate with the church to settle the row by paying the amount it spent for purchasing the land from Harrison Malayalam Plantations in 2005. Attempts were also being made to pool the amount by some NRIs and businessmen who may benefit from the airport project. A committee headed by Additional Chief Secretary (Revenue) P.H. Kurian had recommended Cheruvally estate as the most ideal spot for the proposed airport considering factors like terrain, proximity to two national highways and five public works department roads, distance to Sabarimala Ayyappa temple and land availability for commercial facilities.